Clutter- it’s anything in your home that doesn’t add value to your life, and it can quickly become out of control! It’s beneficial to de-clutter your home, not only for the cleanliness of the home itself, but also for the wellbeing of all the wonderful people living inside of it. Simplify, minimise, and clear out what you no longer have use for. De-cluttering your home can lead to a more organised way of life that incurs less stress! The team at Steve’s Rubbish Removals Brisbane have all the right advice on how to de-clutter your life, as well as top home organisation ideas. It’s important to set yourself achievable goals! The keyword here being ‘achievable’! Don’t bite off more than you can chew, and be sure to space out your tasks over reasonable time periods. Don’t aim to complete your entire list in one day! Do it over the space of a week or more, in order to maintain your motivation and limit frustration. It’s a great idea to sort your home into sections or ‘clutter hot spots’. Plan your time accordingly and create completion dates so you stay on track. De-cluttering your home does take time, but the results are worthwhile! You may not be able to click your fingers and achieve the outcome, but your dedication over a period of time will pay off. Remember to stay motivated! It’s also important to acknowledge that to maintain a de-cluttered space, you need to have ongoing goals in place. You’ll need to regularly set aside a small amount of time for upkeep! 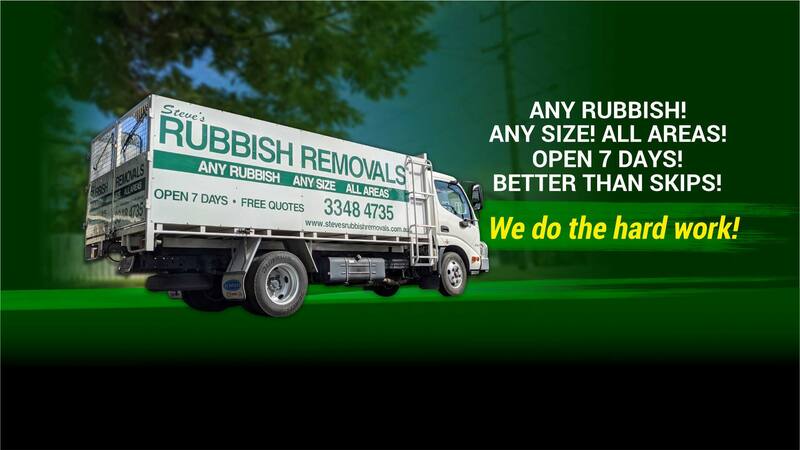 A great place to start is with rubbish removal. Have some garbage bags handy and prepare to say your final farewell to all the unwanted clutter. Be sure to shred any personal paperwork before discarding it, and remove the garbage bags from the house as soon as they’re full. If you wish to discard items that are of no use to you, but could be for others; set aside a bag of items you can drop off at a charity. If the rubbish removal process becomes overwhelming, consider teaming up with us so we can assist you! Steve’s Rubbish Removals can help with all kinds of household rubbish removal in the Brisbane area, including furniture, appliances, shelving, clothing, toys, and general junk. Tip 4: Get it Sorted! KEEP: Empty this box after you de-clutter an area, and then place the items in their newly allocated homes. Ideally, these things should be stored neatly! GET RID OF IT: Store this box outside your home and get it ready for transportation, donation, recycling or a garage sale. STORAGE: Move the items in this box to your storage containers and label them accordingly. There isn’t a fourth box for ‘MAYBES’ in the three-box sorting system. Be stern in your decision-making and properly consider the odds of you using the item again. Ask yourself whether something is broken, out-dated, unusable, or if you’ve purchased an updated version. If you answer yes to one or more of these points, the item probably has no place in your future life. De-cluttering and organising doesn’t have to be a painful process! Get motivated, and look forward to living in a beautiful, clutter-free home!